In response to the recent migrant and refugee crisis, rich countries have redoubled policy efforts to deter future immigration from poor countries by addressing the “root causes” of migration. We review existing evidence on the effectiveness of such efforts. First, aid disbursements do not generally follow “root causes” rhetoric. The sectoral distribution of aid to migrant-origin countries does not significantly differ from its distribution in other countries. Second, the evidence suggests that aid’s capacity to deter migration is small at best. Aid can only encourage economic growth, employment, and security to a limited degree. Beyond this, successful development in almost all formerly-poor countries has produced an increase in emigration. 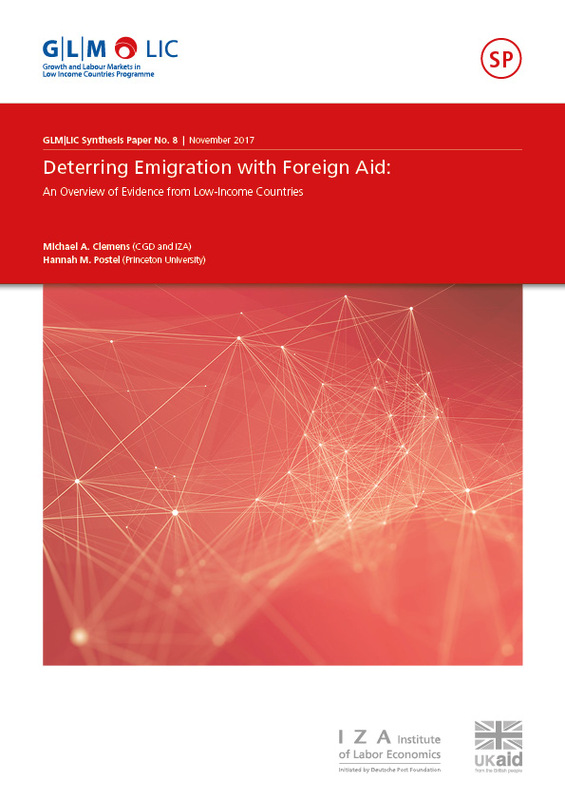 Third, this evidence implies that donors could achieve greater impact by leveraging foreign aid not to deter migration but to shape it for mutual benefit.